This week I came home from a busy day at work to a litany of requests: my oldest two need new travel cards (one has broken his and the other lost hers a few days after I replaced her broken one), Gorgeous needed ingredients for his food tech class the next day and both of the babies had homework projects. We were meant to do these over the weekend, but the trouble with a Tuesday deadline is that you end up leaving things for Monday evening. I decided that everyone would get what they need insh’Allah, but that I would make a space for myself first. So I unwound my hijab, took off my shoes, got changed, unpacked my work bag and in the process let go of the day and wound down. 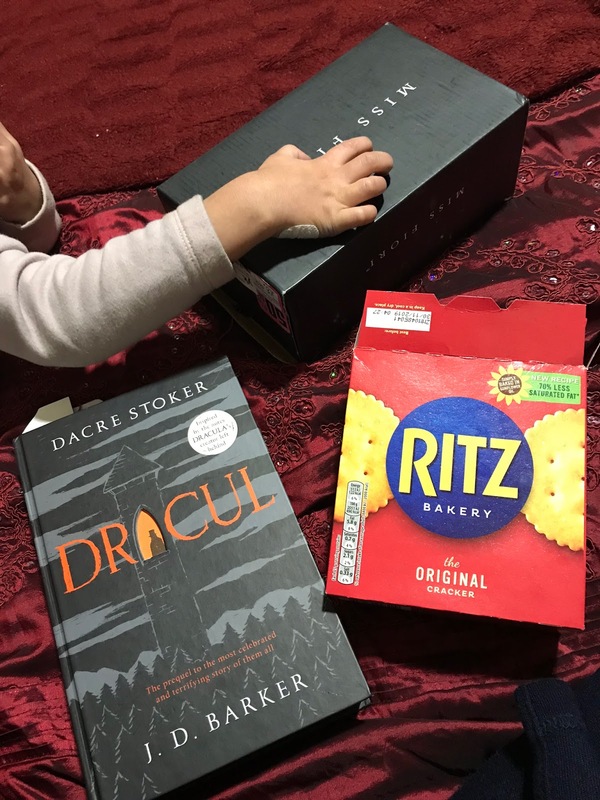 I sent the kids to look for shoes boxes for their homework project and settled down with a good book and some the last few Ritz crackers the kids left for me. I gave myself twenty minutes of quiet/quiet as it gets time and let my body and mind get some rest. Once I was done, I called hubby and asked him to find me some boxes on the way home from the masjid. 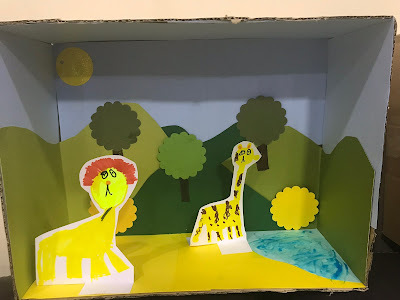 He has been on box duty for school projects since the oldest was little and always manages to come up with the goods. 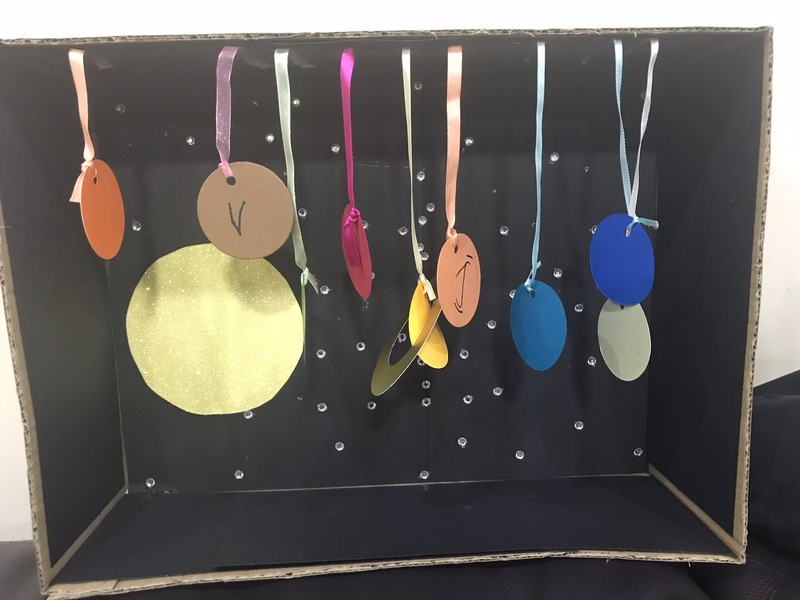 We ended up with two diorama’s: one of the solar system and one of the Savannah (you get extra credit for adding a lion). 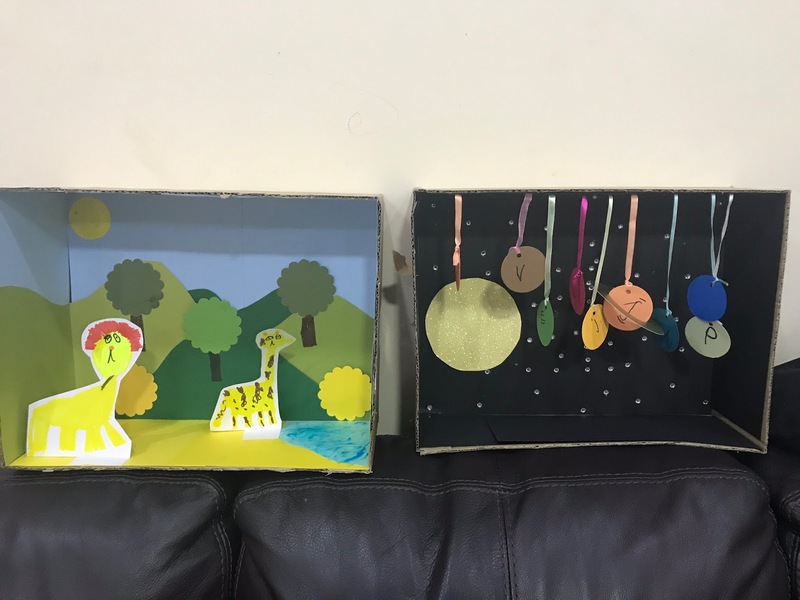 Neither are the best, but I wanted as much as possible to provide materials and let the girls do the drawing and sticking (I do the cutting). It feels like ages since I have done projects with the children, they older batch got too old and the younger ones were too small. So alhamdulillah I get to experience the fun years (post dependent baby, pre-hormonal teens) again insh’Allah, although I have to admit Gorgeous is still a big messy, fun kid. Look forward to many more projects and lots more self-care insh’Allah.